It's no surprise that LSD-25 Auto is Fast Buds' absolute favourite AutoFem! These cannabis seeds are simply stunning with huge, solid purple calyxes. Thick with Sticky Resin - Hash Friendly! 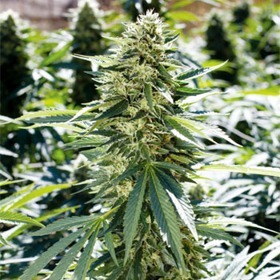 Ladyburn 1974 is greenhouse seeds fast flowering indica - mature and ripe ready for harvest in just 9 weeks. Easy to grow, Ladyburn is labelled as good for beginners. Laughing Buddha has a long flowering period in which it develops a spacey high with a distinct powerfully sweet and spicy aroma. Smooth as Silk - Finishes in 8 Weeks or Less! Lemon Cream Regular Seeds are Sativa all the way, except for their finish. These resin-coated powerhouses finish faster than most Indicas & they still yield like a boss! Fuel Up with Lemon Diesel Feminized! Filled with high-octane power, Lemon Diesel Feminized is a potent creeper. It takes these ladies awhile to get going, but once they do, it's like rocket fuel! 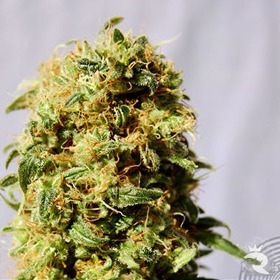 Lemon Diesel Feminized is mostly fuel flavoured with a citrus twist. Lemon Haze is everything a great Sativa should be, except slow. She has a condensed, 8 to 9 week finish that's extremely fast for this type of strain, and she's a Cup winner!